Most specifications call for masons to have five (5) years in historic masonry restoration experience in a similar project and scope of work. The problem is most mason contractors don’t often have the experience in the particular specification materials or methods of approach to specific projects. A new movement in recent years has been to assist the masons in gaining the necessary knowledge through on-site contractor training programs. These programs are specifically designed for the masons and teach them the workmanship skills required for specific masonry restoration treatments that may not be commonplace. For example, a crew may learn the techniques of Dispersed Lime Injection (DHL) or the installation and curing of lime putty mortar for repointing. Architects and building owners are encouraged to attend these sessions. While they do not receive a certificate for the application, they do receive a supervisory role certificate in order to participate in quality assurance inspections during the construction phase. The training is built from the framework provided in ASTM Designation E2659-09e1 Standard Practice for Certificate Programs. Each training event is carried out at the project site with the masons performing the work. 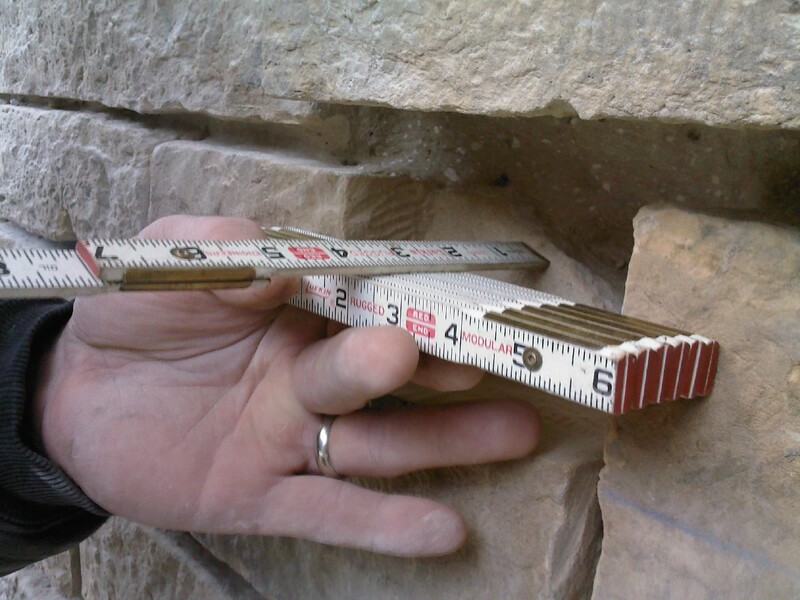 The training programs allow owners and architects to identify qualified masons based upon delivering an acceptable test panel of each specified treatment. Each mason must meet certain criteria and pass a written test defined in the training program plan in order to receive an E2659-09e1 project certificate. An oversight committee is formed for each project representing the primary stakeholders. The primary stakeholders are typically the owner, architect and the preservation officer. The project training program plan is developed by SPC personnel in collaboration with the project architect during the design development stage. The SPC training program dovetails into the project specifications and supports the quality assurance of the overall project. The project training program plan is submitted to the oversight committee for review and approval. The SPC certificate issuer is a qualified historic masonry specialist having designated authority charged to administer the training. The oversight committee typically requires that all masons and supervisors participate in a series of learning events designed to assist him or her in achieving the learning outcomes within a defined scope prior to working on the project. Specifying SPC ASTM E2659-09e1 Project Certificate Training helps to ensure delivery of the highest quality craftsmanship and maximum life-cycle performance of the repairs. All learning events in each training component comply with project specification requirements. The SPC training programs preserve the historic integrity of projects by assuring quality applications and installations of specified materials. Because we work on National Landmark Buildings all SPC training components and learning events comply with all federal, state, and local building code requirements and preservation guidelines set forth in the Secretary of the Interior’s Standards for Rehabilitation.